New! 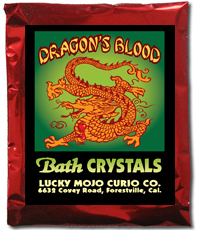 One-Of-A-Kind Antique Root Doctor Bags at LMCCo. Re: New! One-Of-A-Kind Antique Root Docdtor Bags at LMCCo. Now THIS is so great! I just like the feel of the bag, but it comes with stuff in it! This is great for a mobile rootworker that's on the move lol. I love it! Charles and i loved making these. Although each of them is credited to one of us, we both worked on each other's bags, and had a fun time doing so. I hope to see him again this May and we will make a couple more then, if we have time. I am also taking commissions on custom bags of this type, as i have quite an accumulation of antique doctors' bags, nurse's bags, and leather make-up cases ("train cases") that i can fill with a mix of vintage and new products. catherineyronwode wrote: Charles and i loved making these. Although each of them is credited to one of us, we both worked on each other's bags, and had a fun time doing so. I hope to see him again this May and we will make a couple more then, if we have time. I am also taking commissions on custom bags of this type, as i have quite an accumulation of antique doctors' bags, nurse's bags, and leather make-up cases ("train cases") that i can fill with a mix of vintage and new products. What would be the best way to contact you about a commission for one of these wonderful things? I plan on scheduling a reading with you soon, would it be appropriate to discuss it then or would you prefer I contact you through other means? I love both of these! I also love the descriptions, they both read like a story. The vintage items like the silver "goblet" make them extra special. Turnsteel, i'd be glad to talk about making a "bespoke" bag for you after our reading, if i have extra time. I usually schedule a short "bumper" slot between readings, but if you ask to be "the last reading of the day" when you make your appointment, then i will be sure to have more time, as there will be no calls after yours, and we can spend more time on the phone. How can i purchase a bag like this? Seriously, call the shop. If you want either of these bags, they are ready to go. If they have sold by the time you call, you can request a custom bag and i will probably need to talk to you about what you have in mind and the size of bag and price range that suits you. Make an appointment for us to talk; i am booked with readings a large part of each day. Cat, you know I'm totally getting one these right? They are awesome in every single way. As I do quite a bit of traveling, I am so calling the shop. I may like to have one put together for me in the future. I have most of the contents I currently use already, but the bags themselves are amazing to me. It's something to think about in the near future... Right now my extra funds are being funneled into our "farm fund" and any extra from that is going to the Lucky Mojo Workshop Weekend in May! Hooray! 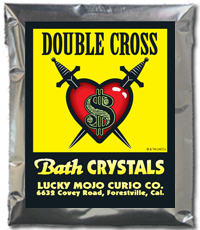 Holy cow, antique hoodoo bags. The pictures posted on the newsletter are AMAZING. These are breathtaking pieces of practical art. On the Solomonic bag, what is in the white Lucky Mojo box on the top right? Is that boxed Lucky Spirit Incense or something else? 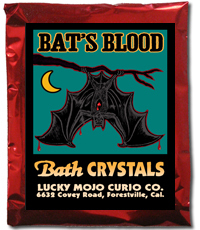 Re: Holy cow, antique hoodoo bags. That box is the interior container for all of the herb and root packets. The green-labelled box holds the 4" candles. By the way, that bag has been sold, but if you wish me to construct a similar one for you, as a custom project, i would be very glad to do so. I love the bags...well done and well worth it! One MORE thing to put on my LM wish list. You people are awesome. I will be designing and putting together another antique bag this weekend. 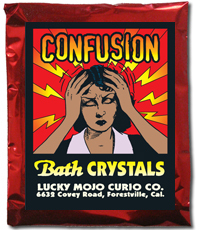 Look for updates here or on the Lucky Mojo Facebook page. These bags are simply amazing! I remember my partner and I found a black antique doctor's bag at an antique mall near our home, and though it was way more than we could afford at the time, we spent a long time looking inside it and touching the handle. It just gave off the most amazing feeling of care and comfort, so different from an impersonal visit to the local primary care collective of today. :p The bag was sold when we went back, but we still think about it. I would love to have a bespoke bag done up for me. I'll have to save up my money and think about what needs are best for me, and for the work I do for my friends. Thank you so much, miss cat, for creating such an incredible item, and for providing so much of your wisdom in these sites. I've found this site and store to be an amazing resource in my studies, trying to resurrect the Appalachian magic I learned as a child. I've lurked for ages, but I saw these bags and I knew I had to sign up and comment! Can't wait to see what the next one looks like! These bags are worthwhile investments for both traveling root doctors and people interested in works of art. The effort that goes into them is simply stunning. I ordered mine and had it customized by Miss cat (who knew what type of work I do so was able to make sure the bag had the products I'd need) and the lovely Angela. I love my bag and highly recommend it to others. It's simply beautiful. Thank you Miss cat! I shall treasure my root doctor's bag! 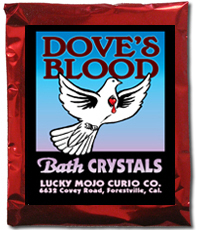 I remember when you got these bags in the shop cat--that lovely train case with the glass vials still in it--so awesome! 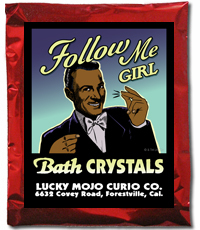 The new labels for Follow Me Girl, Jinx, Jinx-Killer, and Jezebel products are terrific! 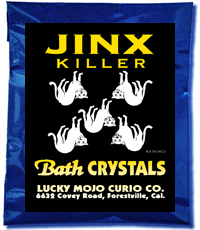 I especially like the Jinx & Jinx-Killer labels-- fantastic! 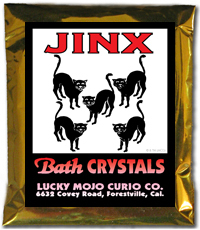 The Jinx and Jinx killer made me giggle, very cute The other two have that old-time charm....wonderful! There are more on the way -- Healing is on the drawing board right now -- and i will post pictures as we ready them for release. Love the Jinx and Jinx Killer labels! Follow Me Girl is classic...and Jezebel is perfect! Way to go on those. I just love the Follow Me Girl label!